Just before the Conservatory in the historic Walled Garden is Biltmore’s Butterfly Garden. 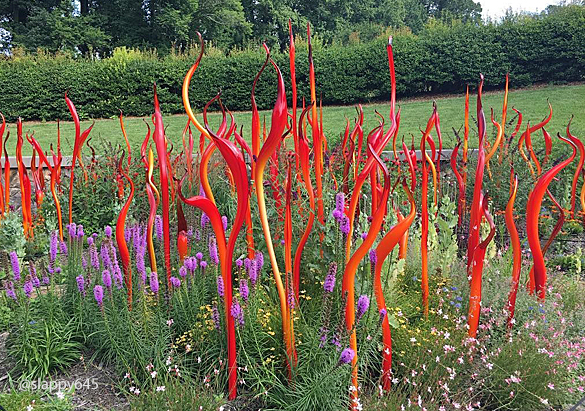 With the installation of Chihuly at Biltmore—featuring “Cattails and Copper Birch Reeds” in this space—let’s take a closer look at its history and the history of the plants within it. According to Bill Alexander, our Landscape and Forest Historian, the area now known as the Butterfly Garden was actually left blank on landscape architect Frederick Law Olmsted’s original plans for the Walled Garden (which was then referred to as the Vegetable and Flower Garden). About 30 years ago, the Walled Garden supervisor and her crew leader at the time asked Bill about the possibility of creating a garden for butterflies in the space. It was an ideal location for such a garden. The ample amount of sunlight would provide desired warmth for the cold-blooded creatures, while the surrounding walls and exterior of the Conservatory offered the fragile beings protection from wind. Bill agreed to the request with one paramount requirement: The flowers and herbs in the Butterfly Garden must draw heavily from Olmsted’s original list of plants used in the surrounding area. Luckily enough, many of those historic plants offer bright foliage and vibrant blooms that produce nectar throughout the season—which makes them perfect for attracting butterflies. 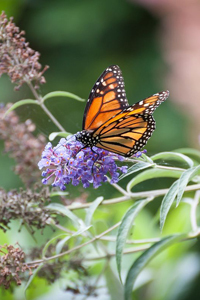 Peak bloom for the Butterfly Garden is mid to late summer, when most butterflies are active. 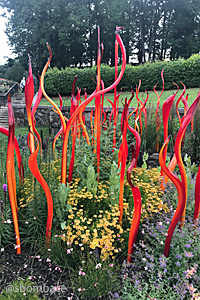 Join us and discover these beautiful historic plants in our Butterfly Garden as well as Chihuly’s unique glass sculptures that so perfectly complement the special space.